The Maragogipe is the coffee tree which produces the elephant, it appears to have a touch of gigantism. The plant is delicate and therefore needs careful husbandry by the farmer. Naturally shaded Maragogipe plants on the El Boton Estate have a high quality but naturally lower yield than other coffee plants. Established in 1931 the plantation only uses 100% El Boton Maragogipe Seeds to ensure the integrity and quality, they are also Rainforest Forest Alliance Certified. On the nose the roasted bean has a nice woody cinnamon touch. In the cup the coffee is at first nice and smooth followed by a nice touch of fruit & nut. Arabica vs Colombian coffee – what’s the difference? Maragogipe is a variety of Arabica. When you hear people talking about Arabica coffee, it is referring to the type of plant. Arabica is a species of coffea, which is a type of flowering plant. So, Arabica can be grown anywhere in the world and is not exclusive to one specific location. However, Colombian coffee clearly refers to beans that are from Colombia. It is not a variety of coffee, it is simply referring to the origin of the beans. These Colombia Hacienda El Boton Maragogipe beans are 100% arabica, which is seen to be the better quality variety over Robusta. Arabica usually has sweeter flavours and a more pleasant acidity. It is also known for its unique characteristics, including floral aromas and flavours of chocolate, fruit and nuts. It is slightly more expensive than Robusta, but this is down to the sheer difference in quality. Colombian beans are typically known for their rich flavour, fruity notes and citrus acidity. The country produces premium Arabica beans whilst maintaining competitive prices due to the high level of production. Only 100 bags were harvested from the country’s first commercial production in 1808. Although, it did not become a major export for Colombia until the second half of the 19th century. 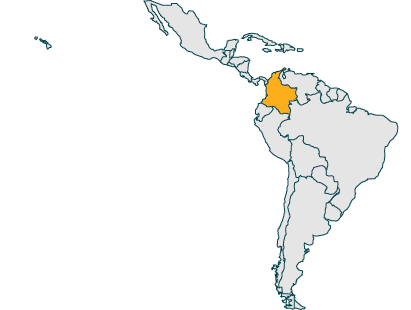 The US quickly became the largest consumer of Colombian coffee which allowed their production to grow. In recent years, production had declined, and farmers were struggling with their inadequate growing conditions. This caused a strike in 2013 (a first for Colombia) where over 10,000 workers demanded a new strategy and more resources. This prompted the country’s government to commit $444 million to improving production and getting harvesting back on track. Today, they are the fourth largest producer of Arabica coffee in the world and have maintained their well-known reputation of delicious, high quality beans. Colombian is known for its rich, indulgent flavours and high-quality taste. Many of our customers’ favourite beans are Colombian but knowing that the coffee your buying is 100% Colombian isn’t always easy. We recommend always buying from a trusted supplier to ensure you’re receiving high quality Colombian beans. If you want the tastiest, freshest beans, buy from a local roaster. 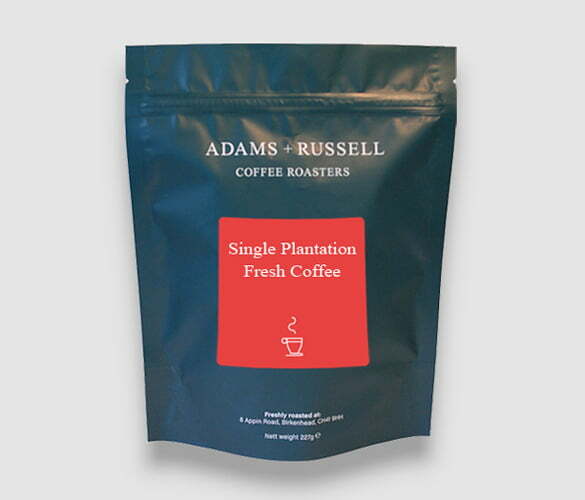 At Adams + Russell, we hand roast all of our beans in small batches to make sure we only provide the best quality for our customers. We work in small batches as getting an even roast makes the beans even more delicious. The beans are then hand packed into specially designed packaging that allows them to release the appropriate gases, which keeps them fresh.